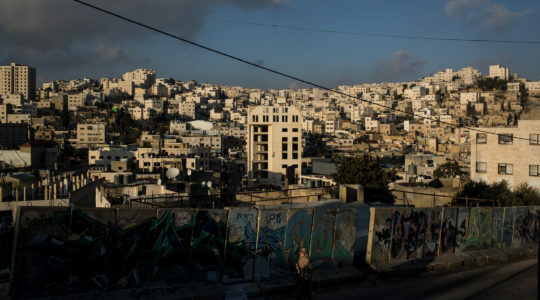 JERUSALEM (JTA) — Rabbi Dov Lior, a leading West Bank rabbi who endorsed a book justifying the killing of non-Jews, issued a religious ruling saying that Jewish law permits the destruction of Gaza to keep southern Israel safe. Lior, chief rabbi of the Kiryat Arba settlement, issued the opinion after receiving questions about Jewish law’s position on harming civilians during wartime. “At a time of war, the nation under attack is allowed to punish the enemy population with measures it finds suitable, such as blocking supplies or electricity, as well as shelling the entire area according to the army minister’s judgment, and not to needlessly endanger soldiers but rather to take crushing deterring steps to exterminate the enemy,” Lior said in his opinion. “The defense minister may even order the destruction of Gaza so that the south should no longer suffer, and to prevent harm to members of our people who have long been suffering from the enemies surrounding us,” he wrote. The opinion cited the Maharal, an important 16th-century rabbi, Talmudic scholar and philosopher. Lior was arrested in 2011 after months of refusing to appear for questioning for his endorsement of the book “Torat Hamelech,” or “The King’s Torah,” by Rabbi Yitzhak Shapira, which justifies killing non-Jews. Meretz party leader Zahava Gal-On asked Attorney General Yehuda Weinstein to launch an investigation against Lior for incitement.